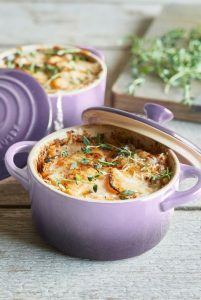 Sur La Table just announced the arrival of a brand new and beautiful lavender lineup from Le Creuset. The new assortment, which starts at just $20, is inspired by the gorgeous, lush fields of purple flowers you’ll find in the south of France. Unfortunately, though, it’s only available in America. DAMN. But if you like it enough? You could always consider shipping costs. 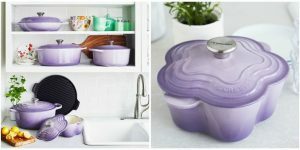 The exciting new launch comes just a few weeks after the release of their berry collection, which was only available in the UK, alas these new look baking dishes and cast-iron skillet in this tranquil hue are in the US only. While much of the lineup may cost a pretty penny, the quality and beauty of each piece ensures each piece of cookware will be one you can pass down to future generations. And since you can use the versatile kitchenware to cook and bake just about anythingyour heart desires, just one or a two will serve all your kitchen needs. Previous PostFrom Middleton to Markle - Style Advice! Next PostEmma Watson and Robert Pattinson had a Harry Potter reunion at the Golden Globes!